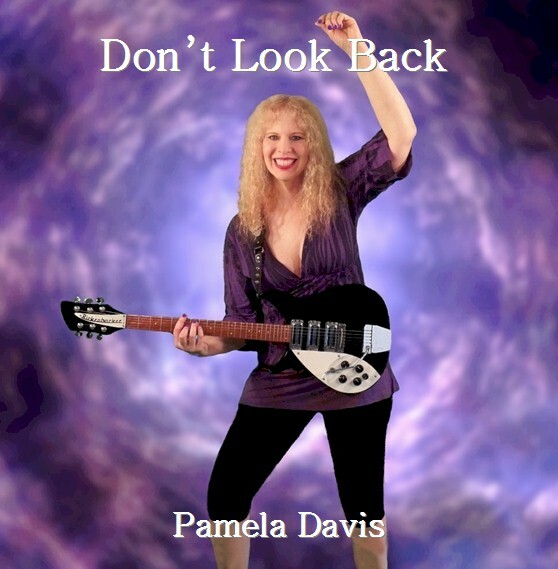 Recording artist, Pamela Davis, has just released her brand new album "Don't Look Back" on the heels of her two previous successful albums, “Welcome To Tranzotica” and “Clear Blue Skies". The new album features eleven tracks, ten composed by the musician and singer. The new compilation displays Davis sultry, playful, soulful voice with its stunning display of vocal ability on ten of the tracks. A refreshing performer who can create intimate landscapes of sounds, that showcase her immense talents. Her music is meticulously arranged, utilizing her multi-instrumental abilities on each track. Davis stresses, “I like the listener to be engaged in my music and I'm very particular with the sounds and arrangements I choose on each track". As mentioned, all the instruments are played by Pamela, who apparently prefers to record all the instruments herself. She is versatile in her musical ability to go from one instrument to the next quickly and precisely, recording each track with authority few can achieve. "My music is like a painting on canvas, and like a painter I do prefer to work on it myself". Davis is also credited with all the arrangements and produced this truly remarkable solo album. Davis has also produced many albums over the decades for others musicians as well as her own material. One of Davis' greatest strengths is her songwriting. “Don't Look Back" is lyrically and musically a potent album. The album showcases her talents as a creative composer, displaying her expertise on each number. Each song on the eleven tracks of "Don't Look Back", convey vivid emotions expressed through a very talented and capable musician. There is a bit more rage and edginess, which makes a lot of the tunes more hard hitting, which makes it works very well in the context of the album. The collection of songs on "Don't Look Back" are quite a different contrast of emotions from Davis's last album "Clear Blue Skies" which shared a lot of happiness in a sunny environment. “Each album that I make, I like to change it up somewhat and explore different sides of the human spirit”. "I don’t stay the same and I don’t expect the listener to either”. With each album release, Davis shows her versatility in her selections of genres. “Don't Look Back” is an amazing achievement, but even so because this is truly a solo compilation. Download or purchase the CD “Don't Look Back” today. Sit back, crank up the volume and prepare for a delightful 45 minutes of freshly crafted delights.